NBA rookies are jumping higher than ever. Find out why. Jumping has always been a critical skill for basketball. You jump to control the opening tip. You jump to block shots. You jump to shoot or dunk. And you jump to grab rebounds. One of the NBA's most iconic images, the Air Jordan logo, is called the "Jumpman." 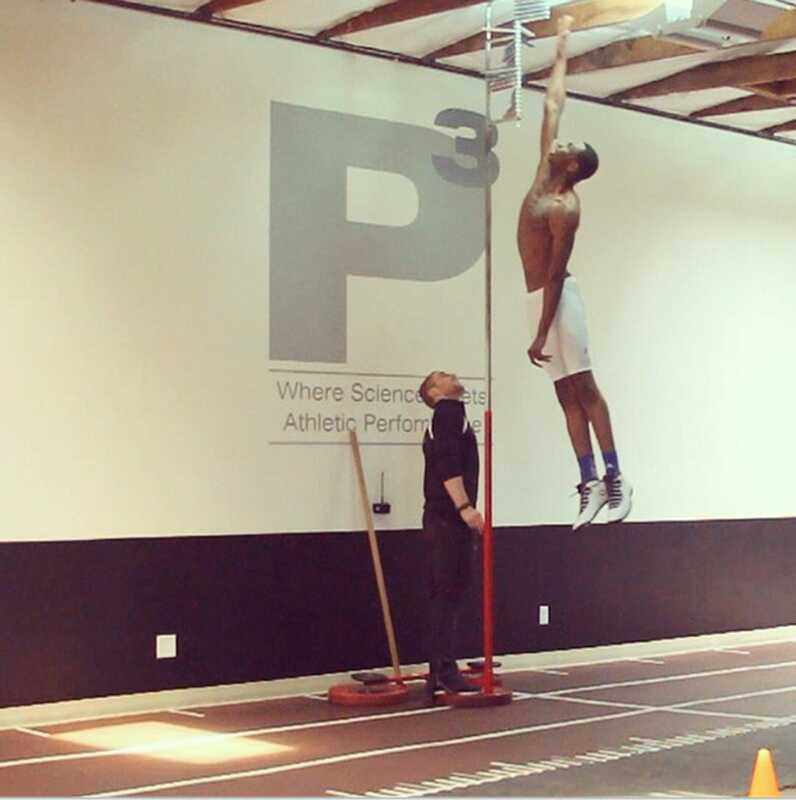 For more evidence of the superior hops in today's NBA, look no further than this photo of Andrew Wiggins, in which he reportedly jumped 44 inches at P3 Performance. Or how about the 2013 draft class? Last year, D.J. Stephens jumped 46 inches in the air, the highest at that year's Combine. A total of fourteen players had verticals of 40 inches or better. In 2004, only two players reached that height. All we know is that if this trend of outrageous hops continues, they might need to raise the rim another two feet sometime in the next decade.